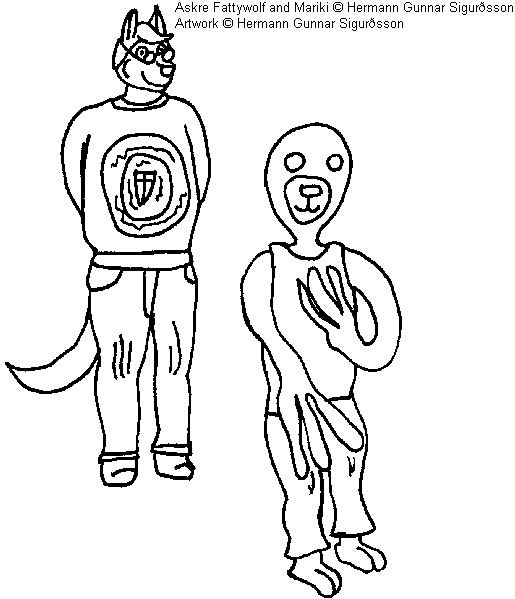 Askre Fattywolf (my third internet alias) stands near a young male Mariki who wants to say hello. 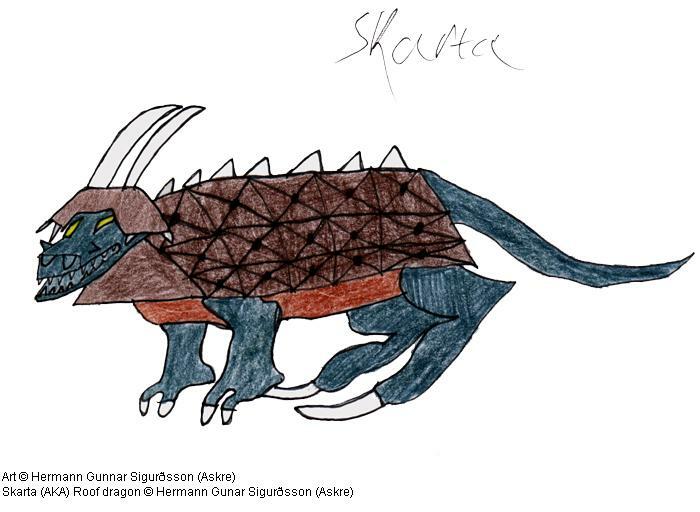 Skartas are monsters I created for few villain characters. This is a female as it lacks horns on it's tail and the shell is dark brown. Males have black shell. I picture I did in paintprogram of one of my internet aliases. Askre the werewolf.